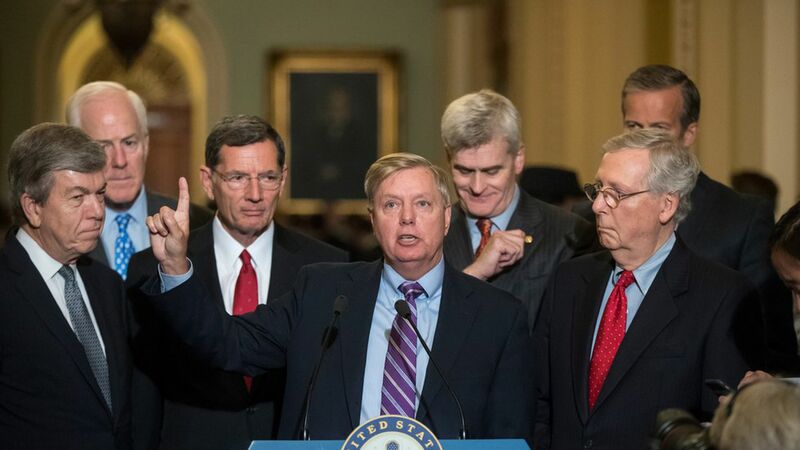 An estimate released today by the Brookings Institution found the Cassidy-Graham health care plan would cause 32 million people to lose health coverage in 2027 and beyond compared to current law. Over the next two years, 15 million would lose coverage. Then, from 2020-2027, 21 million would lose coverage, which Brookings said is a conservative estimate. Why this matters: This could give Senate GOP holdouts yet another reason to oppose the bill. Brookings is a liberal think tank, but it has been pretty close to the mark in predicting other Congressional Budget Office estimates. (We won't get an official CBO estimate of coverage losses for Graham-Cassidy because there's not enough time.) Just as importantly, it reiterates the fact that we really don't know how states would react.